Do your employees travel vertically in the routine performance of their duties? 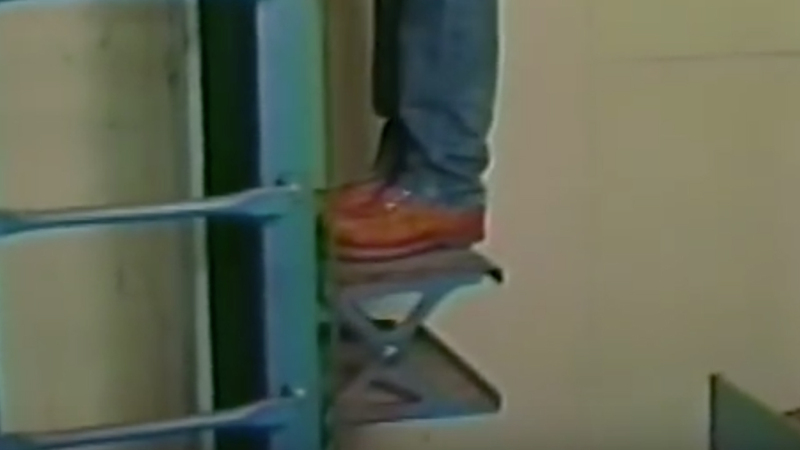 If so, the low-cost mechanical solution is the Humphrey Employees’ Belt Manlift. 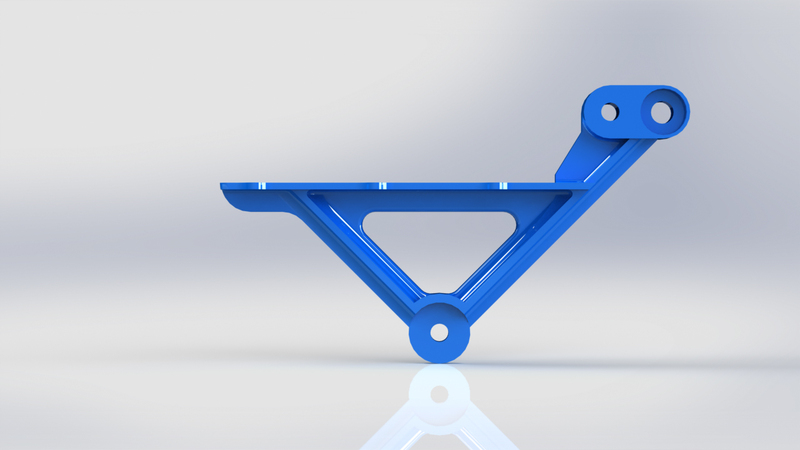 Below is a listing of some of the more common manlift parts we offer. In addition to Humphrey Manlift parts, we also carry parts for other manlift manufacturers including Viola Manlifts, Allis-Chalmer Manlifts, Barnard & Leas Manlifts, and Ehrsam Manlifts. To obtain a quote from Humphrey Manlift, please select your interest above and fill out as much information as you can provide. For immediate help, feel free to call us at (507) 334-6193. You can write us and ask us questions by filling out our Contact Us form. The Humphrey Manlift is a belt manlift built on tradition and recognized as an outstanding value for any type of facility needing to move people up or down floor flights with a limited use of space. Grain elevators, automobile parking ramps, chemical factories, beverage manufacturers and similar operations know Humphrey Manlift as a recognized provider of manlift solutions. Well constructed, economical, effective, and always dependable are some of the key traits of the Humphrey Manlift Company and our products. Enduring in value from the 1800’s and now into the 21st century, Humphrey Manlift serves a variety of organizations throughout the world, providing automated alternatives for moving people from one level to another, quickly, easily and safely. Please make sure all your belt manlifts are in compliance with the current ASME A90.1 Safety Standard for Belt Manlifts. 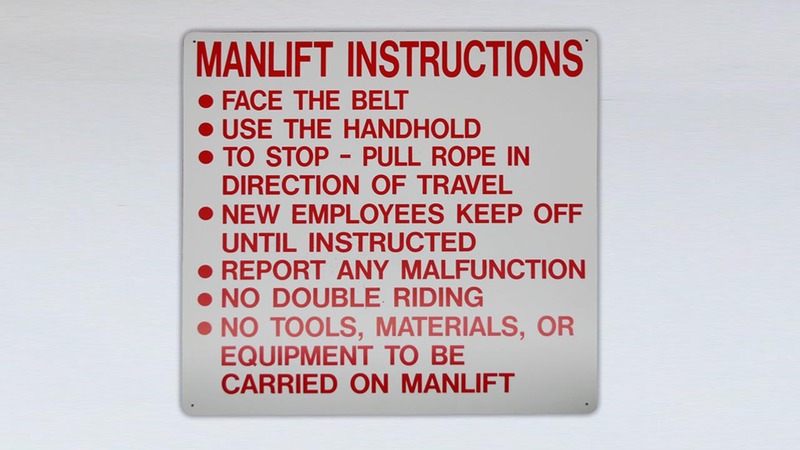 It is also important to make sure your belt manlifts are in compliance with all state and local codes. 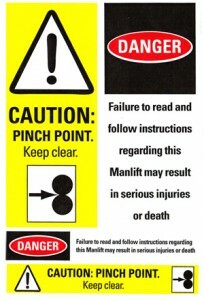 Humphrey Manlift is offering manlift safety stickers for owners of a manlift, free of charge.